QualitySolicitors David & Snape is part of a national network of law firms with over 200 high street locations. Individuals and businesses in Bridgend and Porthcawl trust QualitySolicitors David & Snape. We promise never to use legal jargon when simple words will do. The first time you talk to one of our legal experts is free – a chance to discuss your matter without the worry of a huge bill. And when we work for you, we never hide our costs. You will always know what to budget. You can talk directly with your lawyer - always. And any questions, we’ll respond the same day – it is never an inconvenience. 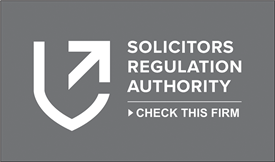 QualitySolicitors David & Snape is proud to be a part of the leading household name for legal services in the UK. For all your legal needs, contact QualitySolicitors David & Snape – for whatever life brings. It's been a pleasure dealing with you and such a professional company.